Blog: Musings from ICOE – is the UK missing a trick? 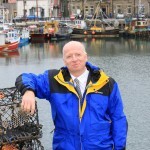 Fresh from attending the International Conference on Ocean Energy (ICOE) in Cherbourg last week, EMEC’s Managing Director, Neil Kermode, urges the UK not to repeat the failures of the past by being timid and ineffectual when supporting a nascent technology; the time has come to commit to making the UK a prosperous, decarbonised and green economy by actively supporting the marine renewable industry. The long haul back from the International Conference on Ocean Energy in Cherbourg gave plenty of time for reflection. No one who visits the brand new Naval Energies facility built in Normandy to construct the OpenHydro turbines can fail to be impressed by the scale of the machines and the commitment shown to build a new industry. Seeing the passion that the regional French politicians have for marine renewables first hand was very motivating. 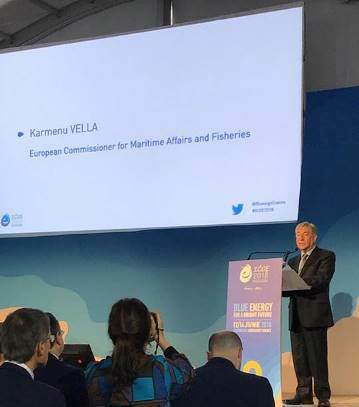 The assembled dignitaries in the factory included industrial leaders, mayors and regional presidents, but the lead was given by EU Commissioner Vella who made it clear how determined Europe is to make marine energy happen. With commitments to make sure there is finance to support technical developments and test sites, new types of finance for the sector as a whole, and regulatory support for development; the direction the Commission wishes to take is clear. And with that level of focussed support there will be no stopping them. Irish Energy Minister, Denis Naughton, also made clear Ireland’s determination to grasp the opportunity presented by marine renewables to his country. As he pointed out, Ireland is the 4th largest country in the EU, but 90% of it is underwater. He clearly recognises the potential this gives his country and is mobilising investment to put in the necessary infrastructure to make the most of it by direct electrical connection from Ireland to France. With that in place there will be no stopping them either. And all this comes as a direct result of the clear direction that the world signalled through the Paris Climate Agreement. An agreement that sits outside the EU and will therefore not be affected by Brexit. But what of the commitment by Britain? Well that seems less clear at present. This is both surprising and worrying in equal degrees. It is surprising because the UK is making such strong progress to generate from the oceans. The sterling work done by Scotrenewables with their 2MW machine at EMEC now passing the 2,500MWh mark and MeyGen setting a new world record in March this year for generating 1,400MWh from a tidal stream array in one month means that the UK’s hard fought for pole position is being maintained. 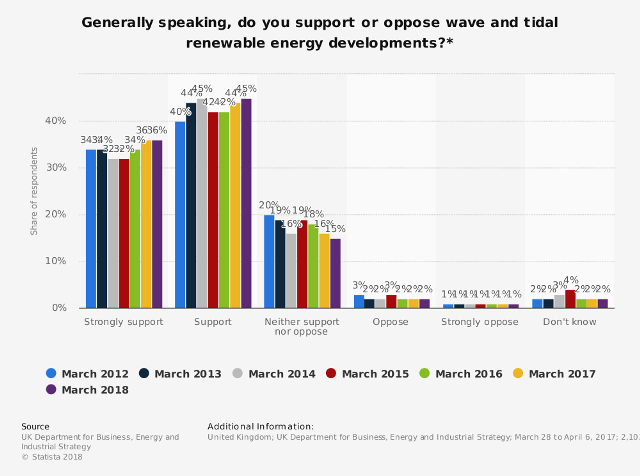 And the level of public support for marine renewables is higher than it has been in the last 6 years as shown by the Department for Business, Energy & Industrial Strategy’s own public attitude tracker published a few weeks ago. Support almost exactly matches the picture for renewables as a whole and specifically offshore wind, a technology the government does actively support. 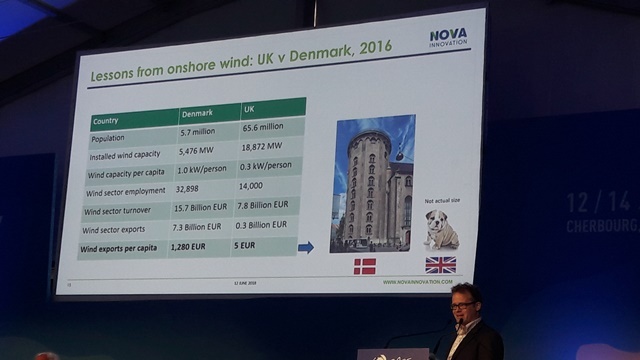 So, the question on everybody’s lips is: ‘Marine renewables: why on earth aren’t we getting on with it?’ The kit works, we have a world lead and an export opportunity and the people like it… What’s the hold up? In the light of the Government’s clear signals that it wants to build an economy based on innovation, there is a growing mood to make sure our world lead is not frittered away… This is not the moment to ‘play safe’. It is the moment to be bold because innovation means doing new and risky things in the service of the vision we have of a prosperous, decarbonised and green economy. Of course, there is always a worry that the UK cannot afford to support marine renewables at this point, but that is clearly not the case. By taking a little from the industry we need to replace, the UK could choose to channel its efforts into a sunrise industry. It does not need to keep supporting a sunset one. 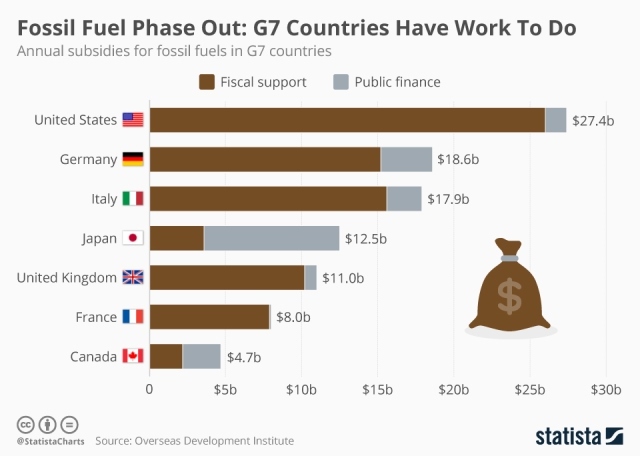 The UK provides annual support to the oil and gas sector to the tune of around $11,000,000,000 of which nearly one billion is actual cash. So at present we are giving around £120 for every man, woman and child in the UK today to support an industry that we all know has to be curtailed for planetary security reasons. So as people anxiously wait for the long expected supportive announcement for the Swansea Barrage, we should reflect on the choices the Government is going to make. Are we going to repeat the failures of the past by being timid and ineffectual when supporting a nascent technology like we were with wind? Are we really going to give up our hard fought for world lead in marine renewables because we cannot learn from our mistakes? Or are we going to deliver on promises to have a nation fuelled by innovation and deliver the Prime Minister’s recent commitment to “a cleaner, greener country (that will) reap the economic rewards of the clean growth revolution.” And of course we have recently shown we can deliver the almost impossible when we choose to. Who doesn’t remember the 2012 London Olympics? That showed what we can do when we knuckle down and deliver on our promises. That event showed that we do have the confidence, organisational skills, determination and vision to do something remarkable… and didn’t that feel good when we pulled it off? To me it seems to be an obvious choice to make: we should go for the opportunity, not throw more money on a sunset industry; keep the lead rather than skulk off the field; build a new economy based on success and export, not commit ourselves to just consume. It would be a reprehensible dereliction of duty if those with the levers of power at their hands failed to use them for the good of the country. If there was ever a time for a responsible bold step; it is now.